Join us for a Tech Talk where participants talk about their digital humanities research, digital tools, or how they worked through research problems. 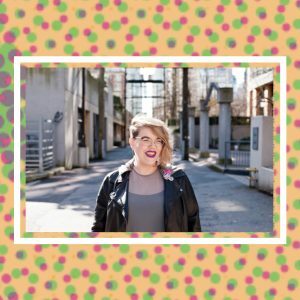 This week, is a double-session featuring Hannah McGregor (SFU) who will be presenting “SpokenWeb Podcasting Workshop” & “Feminist Podcasting as Public Scholarship”. Secret Feminist Agenda is an experiment in public scholarship that begins from the premise that feminist scholars are accountable to publics beyond the traditional boundaries of the university–and that podcasting offers an ideal medium for engaging such publics. But by prioritizing accessibility and public accountability, this project challenges many of the norms of scholarly communication, including workflows, peer review, and the categorization of scholarly labour in research, teaching, or service. This talk will tackle how feminist podcast- ing expands and challenges our ideas of what constitutes scholarship, and the barriers that continue to stand in the way of feminist scholarship. Hannah McGregor is an Assistant Professor of Publishing at Simon Fraser University, where her research focuses on podcasting as scholarly communication, systemic barriers to access in the Canadian publish- ing industry, and magazines as middlebrow media. She is the co-creator of Witch, Please, a feminist podcast on the Harry Potter world, and the creator of the weekly podcast Secret Feminist Agenda, which is currently undergoing an experimental peer review process with Wilfrid Laurier University Press. She is also the co-editor of the book Refuse: CanLit in Ruins (Book*hug 2018).